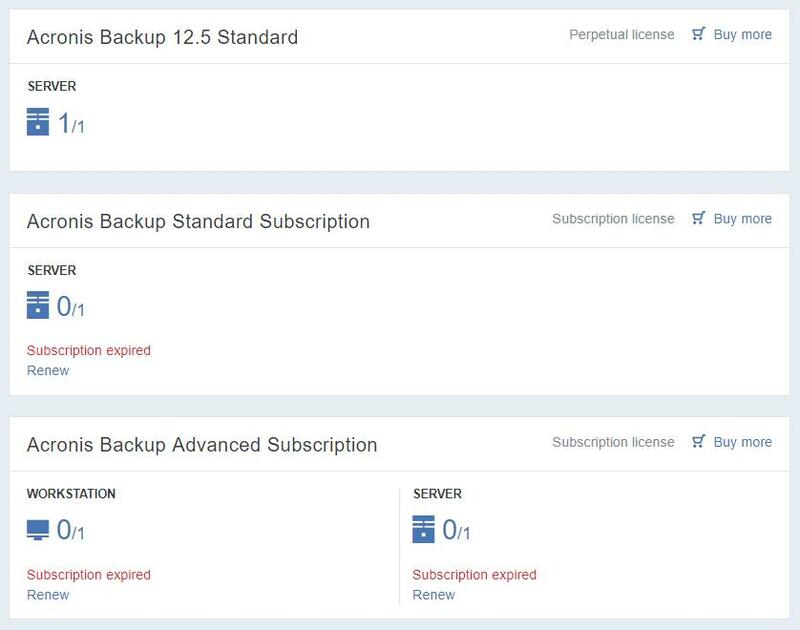 Is it possible to remove old expired license from Backup 12.5? Is it possible to remove old expired license from 12.5? Acronis automaticaly generated this demolicense in the licenseportal (we allready have an advanced license). After synchronisation in acronis backup 12.5. this old license was automaticaly importet and generates a daily faultmail. How can i remove this license? Ok, it's possible to remove old license. Acronis will delete this license on myacronis portal. 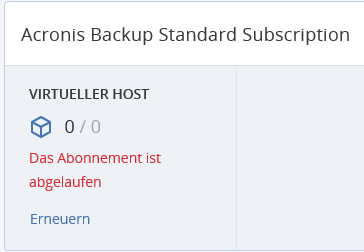 After Synchronisation in Acronis Backup the license isn't anymore visible. For everyone, who might face the same issue - as this was not quit a trial license, but a full license with a limited lifetime, it didn't disappear after having expired. We had to remove the entry from the account manually. So if you experience the same or similar issue, please do not hesitate to add to this thread and provide your registration email in a private message (on my profile click on Send message). We'll look into the situation and help! Can you remove the expired subscription licenses from my account too please? under your account I see only one perpetual license, no other entries. If your screenshot is from the product interface, not from https://account.acronis.com/, then I'd suggest trying to re-sync the information about licenses from your account (click on Sync and sign in to your Acronis account). Let me know if that helped. I have tried the Sync, to no avail. It says successfully synced, yet the expired items remain. Also the system seems to be stuck in the middle of a backup from last month and will not do anything. I thought it might be from the expired licenses but I'm not sure. EDIT: Download and updated the software and the Sync function worked ok removing the expired licenses. The stuck job cleared and I was able to launch a manual backup. Will see if the full site backup runs tonite. Thank you for the update Steve, hope things continue to be normal for you. Can you please also delete our almost expired license? Basically, I purchased Server Adv. Subscription, it expired, so I purchased Perpetual and assigned that. I now keep getting annoying mails say its expired event though its not assigned and never will be. the expired quotas have been removed from your accounts. Let me know if any issues or questions. Can you please remove the expired licenses on our account?